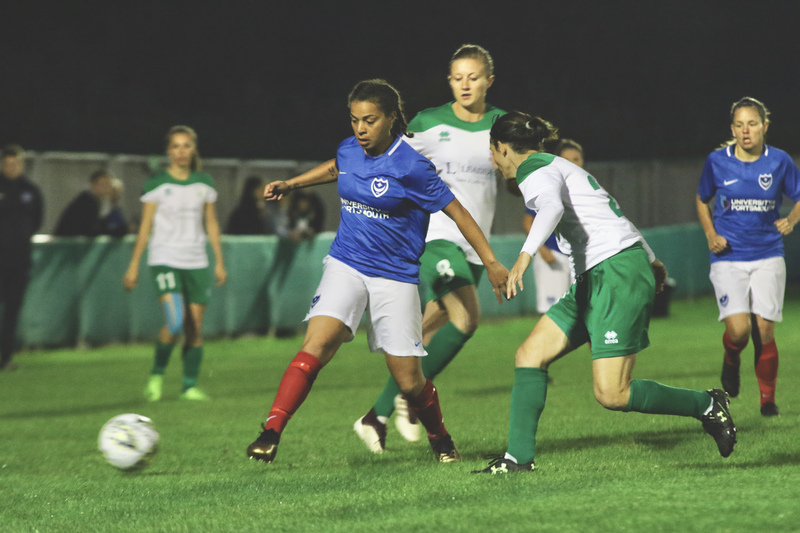 Following a cup loss on home soil earlier in the month, Portsmouth were looking to put things right in their Women’s National League game. However, goals from Hollie Wride and Chloe Melton made sure Chichester maintained their 100% record. The tempo was high from the off and both teams took a few minutes to find their feet. 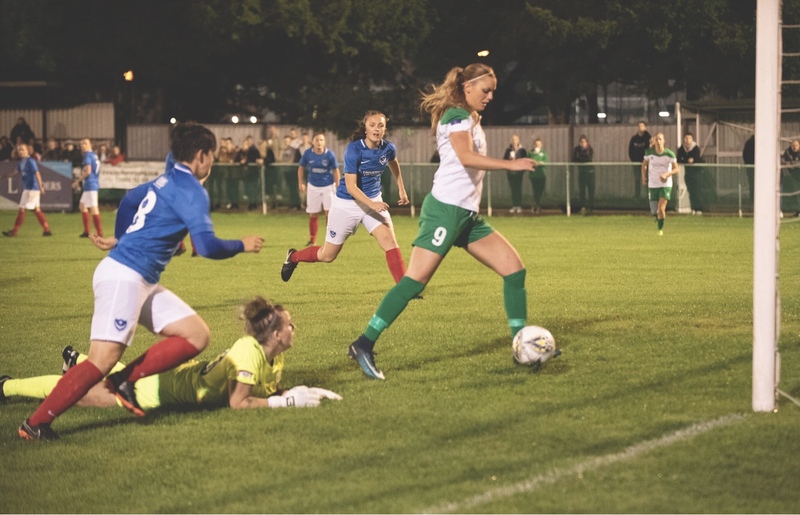 Rachel Pantingwas the liveliest from kick-off as she raced down the wing beating two defenders before crossing to the back post for Hannah Geer whose effort lacked the power to beat Lauren Dolbear. 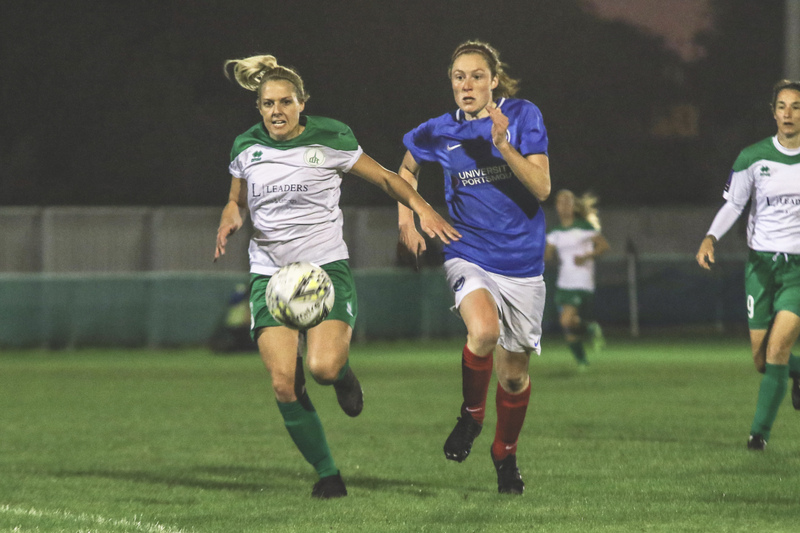 It was an early goal for Chi, albeit not a quick as in the League Cup, as with 12 minutes played Hollie Wride got her first goal of the season. Wride played a short corner with Molly Clark who set for the midfielder to curl a beautiful shot into the goal beating a fully stretched Levett. The goal gave Chichester confidence in front of a home crowd of 272. Portsmouth making key blocks to deny Clark and Melton the chance to double the lead. A well struck 30-yard effort from Daisy McLachlan was seen over for a goal-kick by Dolbear. Sara Tubby headed a Melton cross towards the Pompey goal that was excellently saved by Robyn Levett. 52 minutes played, and Chi found a second as she reacted quickly to Levett’s initial save from Clark’s shot. The winger beating the keeper and defenders to the rebound to tap into an empty net. The two-goal advantage lasted six minutes though as Danielle Rowe played McLachlan through on goal to lob Dolbear. Just past the hour mark and Chi believed they had scored a third when Clark hooked the ball over the Portsmouth backline with Cherelle Khassal and Melton chasing. Melton takes the shot, dinking it over Levett, but the assistant referee had flagged for offside. Despite the disallowed goal Chichester kept working hard as Khassal was narrowly beaten to the ball by Levett and Melton had a cross blocked by Geer. 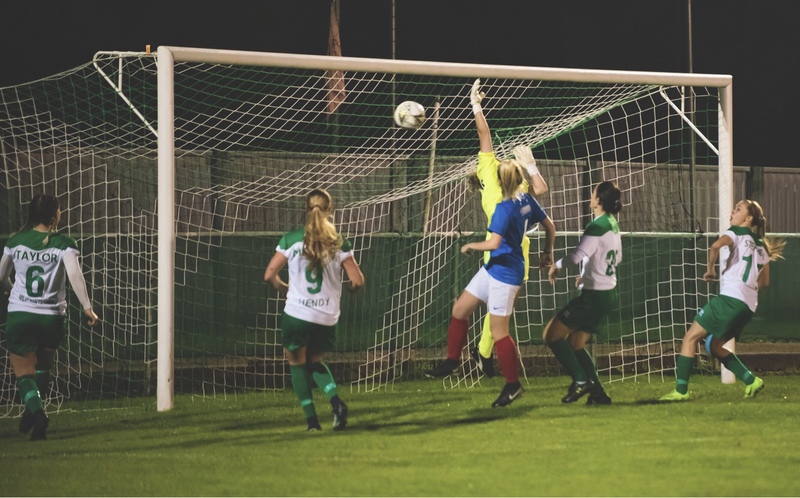 Melton had another shot blocked by the Pompey skipper, Amelia Southgate, which fell to Wride who set up Tash Stephens for a bicycle kick that fell short of the goal. 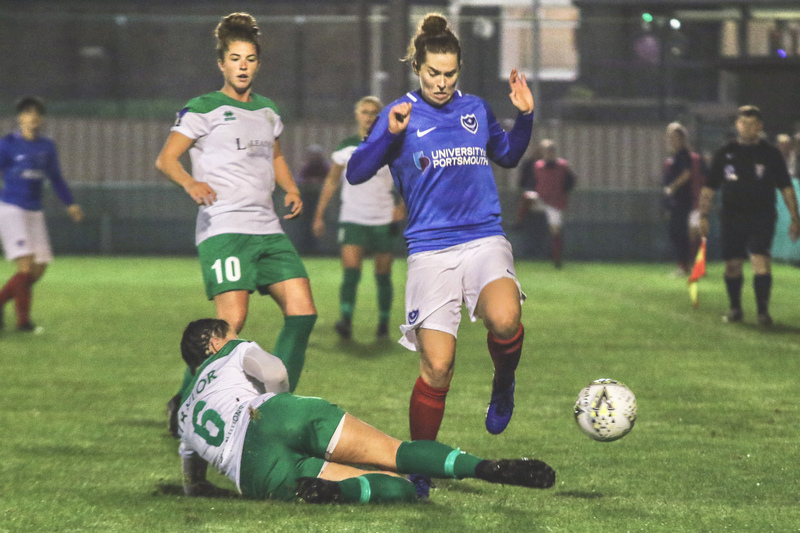 The former Pompey winger, Stephens, might be kicking herself after the game with several chances to put the game to bed fell but not for some strong defending by the visitors. There was a late call for a penalty late on for Portsmouth on as Waine tackled Albuery, but the referee controversially overruled his assistant. After several minutes of added time, the final whistle came. Chichester made it four wins in four in the league to remain top of the National League Southern Premier Division. Chichester: Lauren Dolbear, Lauren Cheshire, Lucie Challen (Helen Ogle 59’), Tammy Waine, Tiffany Taylor, Hollie Wride, Rebecca Barron, Molly Clark (Gemma Simmonds 72’), Tash Stephens, Chloe Melton, Sara Tubby (Cherelle Khassal 57’). Unused subs: Laura Ingram, Jade Widdows.